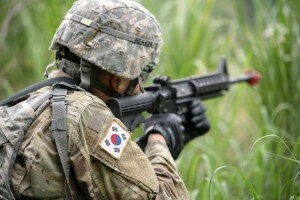 WARRIOR BASE, Korea- Soldiers and Korean Augmentation to the United States Army (KATUSA) from the 8th Brigade Engineer Battalion, 2nd Armored Brigade Combat Team, 1st Cavalry Division conducted a demolition exercise at California range July 9. Training at California range gives the Breach Masters the opportunity to cross train multiple military occupational specialties in breaching techniques. 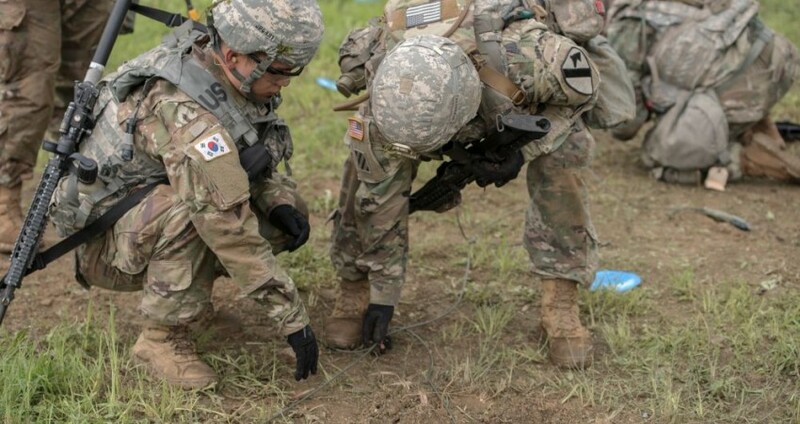 The special equipment operators for the 2nd squad, 2nd platoon, Bravo Company, 8th BEB normally are brigade assets who operate breaching and dig equipment. 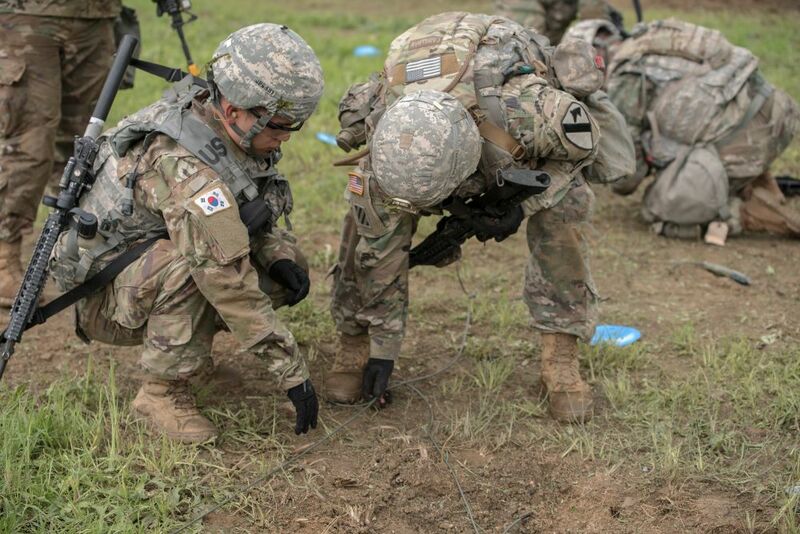 Every Soldier is an operator of the equipment. They are not dismounted. 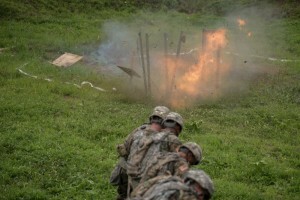 These Soldiers work tractors, bulldozers, scrapers, and graders, but at California range, they moved tactically and constructed charges to breach obstacles. 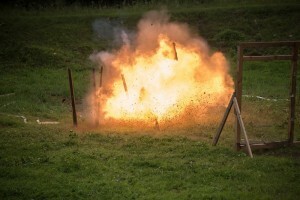 Taking full advantage of the training facilities and high availability of demolitions, the Breach Masters are motivated about their future training opportunities on the peninsula. 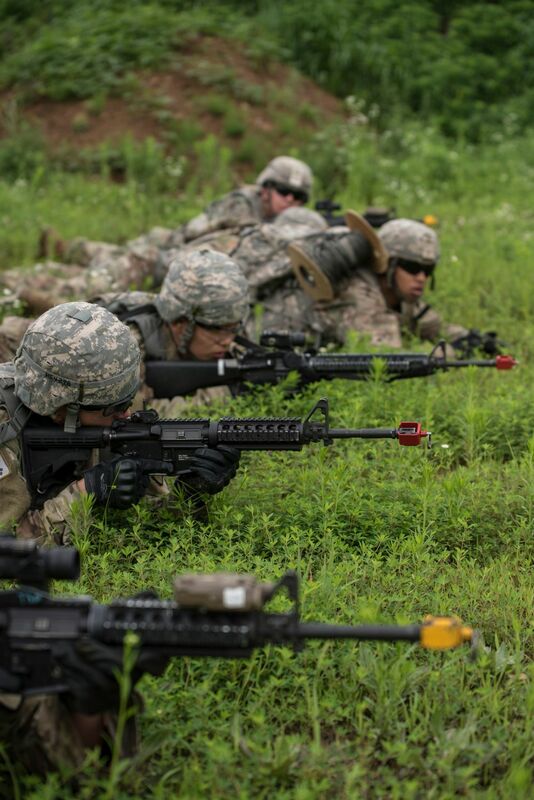 The Breach Masters take the motto on the peninsula, “fight tonight,” seriously. Cross training all members of the Bravo Company in skill sets designed to increase the combat power of the battalion ensures the Breach Masters are a combat multiplier for the brigade. This entry was published on July 31, 2017 and was updated on July 31, 2017 / 1St Cavalry Division Association Admin. Posted in News. Bookmark the permalink.